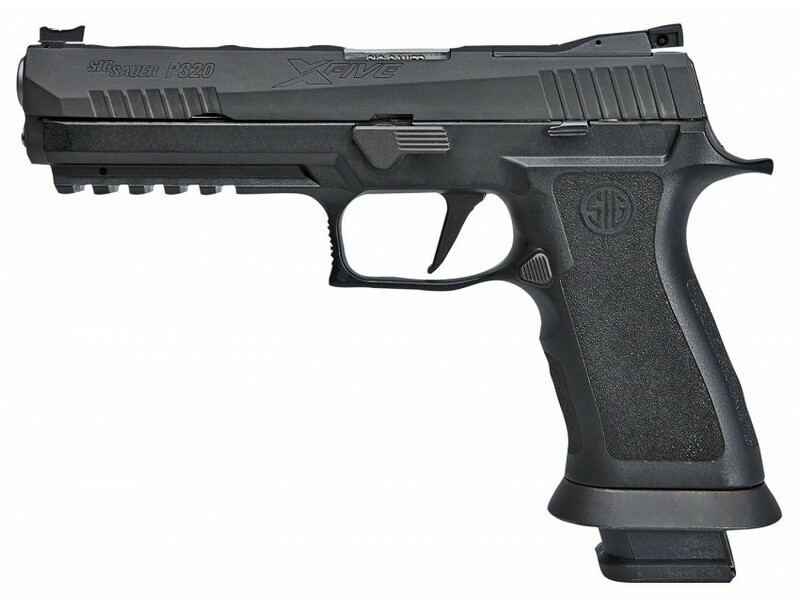 Sig's pistols are engineered to perform anywhere, at any time, and under any circumstance. They boast unique, advanced features that stand out among the rest. The P320 is a striker-fired modular, polymer-framed service pistol designed from the ground up with the input of law enforcement officers. It offers a smooth, crisp trigger, an intuitive, 3-point takedown and unmatched modularity to fit any shooter and any situation. The P320 also has ambidextrous slide catch lever and a reversible magazine release for full ambidextrous operation. The P320 X-Series has a enhanced X grip module with extended beavertail, 4-sided beveled magwell, and a crisp trigger guard undercut. It also has a M1913 Picatinny rail.This Full Size model has a black polymer frame with a nitron coated stainless steel slide, 5" bull barrel, 4-point safety, Dawson Precision fiber optic front sight with an adjustable rear, and comes with four 21-round magazines.